Plans have been submitted for a landmark retail and leisure development in Walsall town centre as part of a wider £90 million scheme. 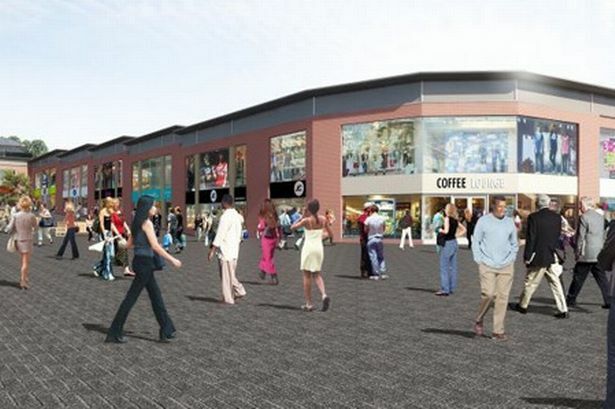 Norton & Proffitt Developments, the joint venture between St Modwen and Goold Estates, has submitted an application to transform the southern end of High Street into a modern shopping destination. It is the latest stage of the St Matthew’s Quarter regeneration scheme – £90 million plans anchored by the existing Asda store boasting an 11,930 sq ft restaurant, space for 11 shops and a 1,000-space multi storey car park. The application has been submitted to Walsall Council after what Norton & Proffitt called “an encouraging response” to the scheme from retailers in the town. One 10,600 sq ft shop in the scheme is already under offer. The St Matthew’s Quarter regeneration scheme has already delivered a new Asda and 41 new apartments at Shannon’s View, while the £2.7 million Goldmine youth training centre in Lower Hall Lane opened in August 2012. Councillor Adrian Andrew, portfolio holder for regeneration for the Walsall Council coalition and deputy leader, said: “This is fantastic news for Walsall and is another piece of the jigsaw in the overall regeneration of our borough.